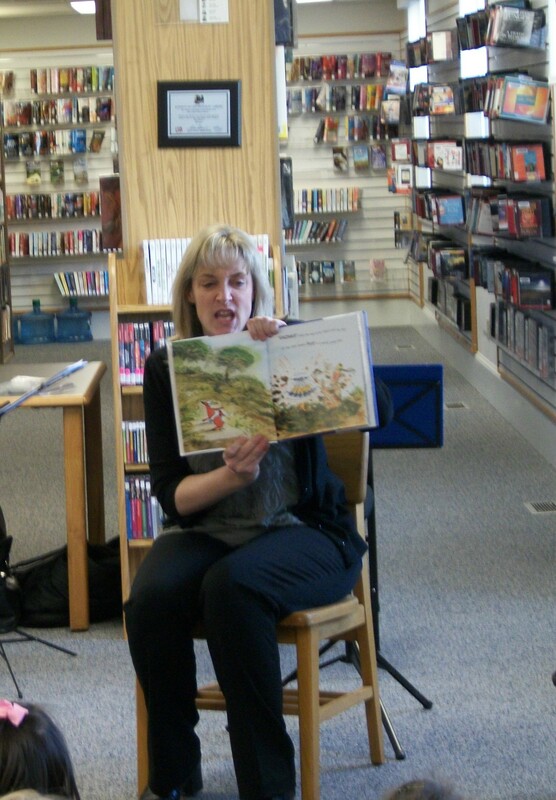 Here is the latest newsletter from Plumb Library: March Newsletter. In it, you’ll find: Coffee with the Candidates, the book group reads for March, the Plumb Library Book of the Month, Musik-n-Fun with Aoife Clancy, and the start of story time. BTW, did you notice that our favorite, “The Fantastic Flying Books of Mr. Morris Lessmore” won the Academy Award for Best Animated Short? Three cheers! Today at the library, we present “TGIF – Thank Goodness It’s Funny”. Members of the Junior Friends will be reading funny stories and telling jokes. Just the thing for a rainy/snowy/no-back-to-rainy day. At 2:00, join fellow knitters and crocheters for tea and cookies. You can stay for the whole hour and a half, or drop by with a knitting or crocheting problem, or to find a pattern for a new project. Or just to chat. Next week, the Friends Board will meet at 6:30 on Monday, Feb. 27. There will be a drop-in craft for Dr. Seuss’ Birthday on March 2. Story times will start the following week, starting March 6. Oh dear, oh dear, I missed a Monday post! I guess my brain was still at the Boston Science-Fiction conference last weekend. It was a great time, and, if you need a list of survival gear for the Apocalypse (never mind which one), see me. Mad Science will be presenting their program on Machines here at 4:30 on Thursday, not 4:00 as was listed in the Events Calendar. Also on Thursday, the Cafe Parlez book discussion group will talk about Tinkers. The March book will be The Invention of Hugo Cabret, which won the Randolph Caldecott award. Jen and I will be switching book groups in March, so the discussions should be fun. Remember, there is something for children here every morning during the February vacation. We had a lovely Treasure Hunt this morning (and thank you to the 17 children and their parents who turned up). Wednesday is Watercolor day. Mad Science will be here Thursday afternoon, and Friday if Fun-Day at 10:30. Not forgetting the Knitting group on Friday afternoon at 2. Here it is: Friday before a three-day weekend, weather’s not too bad; what are you doing sitting in front of the computer reading this?! I like to look at the nominees for the Academy Award for Best Short Animation, and try to see as many as possible. This year, I’ve only seen one so far: The Fantastic Flying Books of Mr. Morris Lessmore, by children’s author and illustrator William Joyce, and Brandon Oldenberg. Click HERE to watch it. It’s funny, sad, and so beautifully done. I should say that I hope it wins, but I have yet to see the other contenders, so I’m no judge. Look for yourself and let us know what you think! BTW, there is something going on here every day of next week, so if your little angels are driving you batty, come on over between 10:30 and noon every day except Thursday. Tuesday there is a Treasure Hunt; Wednesday – Watercolor painting; Thursday – Mad Science will be making “Machines” in the afternoon (spaces are still available – sign up NOW! ); Friday is TGIF (Thank Goodness It’s Funny) with the Junior Friends and others reading their favorite jokes or funny stories. Registration is only needed for the Mad Science program. We also have museum passes if you want to take a day trip, like to Worcestor (Higgins Armory) or Mystic (Mystic Aquarium) or Providence (Providence Children’s Museum, RISD Art Museum, or Roger Williams Park Zoo) or Boston (Museum of Fine Arts, or Isabella Stewart Gardner Museum). Or try a State Park with our free parking pass. Remember, we’re closed on Monday, but I’ll still be bloggin’! The “Just the Facts” Nonfiction Book Discussion group will be meeting on Thursday, Feb. 19 at 6:30 to discuss Mark Kurlansky’s Cod: A Biography of the Fish that Changed the World. Will there be enough to talk about? You bet! We’ll discuss the effect of cod fishing on history, on the discovery of the New World, and on our lives today. I can bet there’ll be a lively discussion on over-fishing and our local economy. Next month’s book is In the Garden of Beasts, by Erik Larsson, one of our favorite authors. Preschool, Toddler, and “Onesie Twosie” story times will have their last session of the month this week. Registration is now being accepted, but spaces are becoming VERY limited. Mary Leonard’s Knitters will meet as usual at 2:00 on Friday. Bring your yarn and needles or crochet hook, and join us! Lastly, our Facebook page needs some love. We have 71 “likes” and it would be lovely to reach 100. If I can figure out who the 100th fan is, that person would receive a prize of a Dunkin’ Donuts gift card. So get your friends to “like” us. I apologize in advance for the grumpiness of this post, but we just found out that yet another publisher is refusing to allow libraries to purchase their e-books. This leaves just one major publisher, Random House, who has agreed to sell to libraries, but at a higher price. Follow THIS LINK to find out more, and contact these publishers to let them know what you think. We can give you a script to follow if you’d like. Just let us know. I realize it’s frustrating to search through Overdrive and not find the books you’d like, or to have to wait. There are several alternative sources of free ebooks, such as The Gutenberg Project, which has many classic or obscure titles that have gone off copyright. We will continue to search for more. We apologize for this, but it is not the fault of the library or SAILS. I’m also grumpy because we have a fun Saturday lined up at the library and it’s going to snow! The Trustees are meeting at 8:30, and the Junior Friends at noon. We’ll let you know if any of these are canceled or postponed. Mary Leonard’s Knitters (and Crocheters) are meeting today at 2. We had a couple of people turn out last week, so drop by for tea and cookies, and suspense! Will Jen figure out how to crochet before Lisa does? Tune in to find out! If it’s Monday, I must be posting! First, some business. SAILS periodically asks patrons for their input via a survey. HERE is a link to the latest patron survey. Please take part; your opinions matter and can influence how SAILS does things. There will also be a link on our website. Here, Music Director David Mackenzie reads Scritch Scratch: A Perfect Match to cello accompaniment that he composed. Author Kimberly Marcus reads her book. Thank you to the Friends for making this program possible. 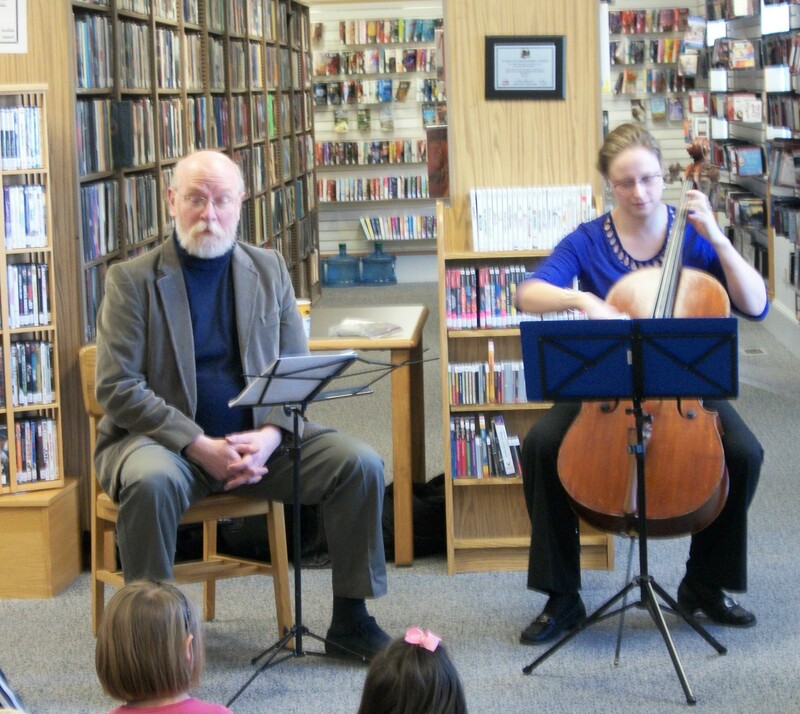 If you missed out, the Mattapoisett Public Library will host this program in early March. And finally, it is the 200th anniversary of the birth of Charles Dickens. Here are two sites that you might find fun, if you, like me, are a Dickens fan. First, 12 of the best movies based on books by Dickens. I agree with most of them, and would add another: the Royal Shakespeare’s two-day performance of Nicholas Nickleby, out on DVD and owned by Plumb Library. An amazing production, considering the size of the cast, the number of characters played, and the size of the stage. And then there’s this list of the best Dickens characters compiled by the staff of The London Telegraph. I agree with many on this list, and would add: Barkis, Peggotty, and Dan’l Peggotty from David Copperfield; the Marchioness, from The Old Curiosity Shop; Samuel Weller from Pickwick Papers; and Newman Noggs from Nicholas Nickleby.